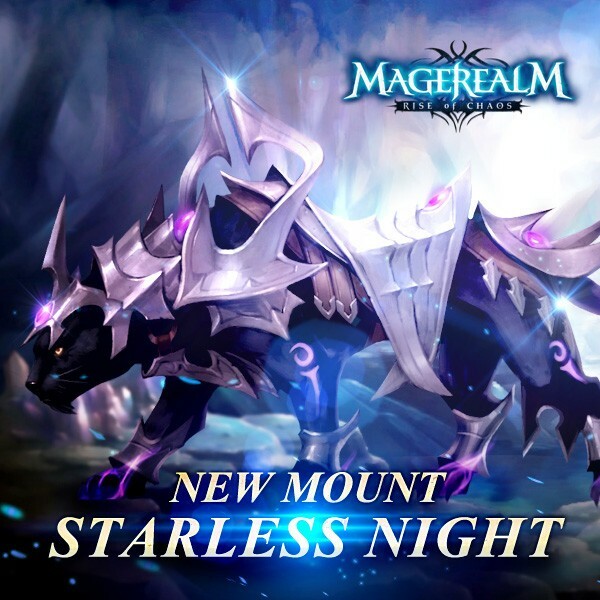 A brand new mount is stalking its way toMagerealm, the free to play 3D action MMORPGfrom GTArcade!Introducing Starless Night, a sleek and elusive beast that was designed by the players! We asked, you delivered, and now it’s here! Starless Night is a mount who’s concept and name was designed by our very own players! Was it everything you had imagined? Are you excited to see more of your great ideas come to life in the game?